Noemie Goudal invited to the Biennale of Photography "Fotográfica Bogotá 2013"
Organized by the "Museo Foto" International Biennial of Photography Bogota runs from May 4 to June 15, 2013. The theme of the fifth edition of "Fotográfica Bogotá" focuses on "the view of the landscape", which will be addressed from different perspectives of contemporary photography. The Scandinavian countries, Denmark, Iceland, Norway, Sweden and Finland are the countries invited to this edition with more than 50 international artists from 27 countries and 37 exhibitions. Exhibitions are presented through the city of Bogota in museums, galleries, cultural institutions, churches, universities and public spaces around the "Transmilenio" (rapid bus Bogota) and in the streets with modules arranged in different parts of the city. The Biennale also organizes workshops, conferences and meetings. 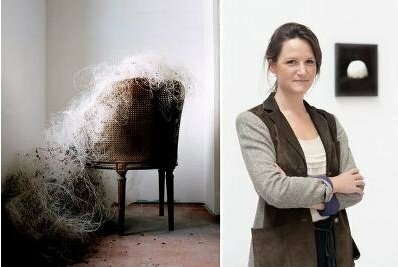 The French photographer Noemie Goudal was invited by the Embassy of France and to participate in the fifth edition of "Fotográfica Bogotá." Born in 1984, lives in London after studying photography at St Martin's College and at the Royal College, and won the award for photography from Central St Martins in 2006, Noémie Goudal recreates scenes from the lives of people, some based on their imagination or personal experiences. Its originality is to translate biographical episodes in a visual language that uses the narrative properties of photography it offers a more literal transcription documentary. Her photographs have been exhibited in Paris, Milan, New York, Hong Kong, Amsterdam. Noémie Goudal recently received the Prix HSBC pour la Photographie, who is on a mission to support and promote young photographers.